Are you ready to be driven....not by your chauffeur, but by your car itself? Are you ready to be driven...not crazy by your children, but to the Shopping Centre by your car? Are you ready for driverless cars? Google has recently unveiled the details on its self-driving cars project. After intense testing within Google Campus, these cars are now being tested out on the roads. Sounds exciting, huh? 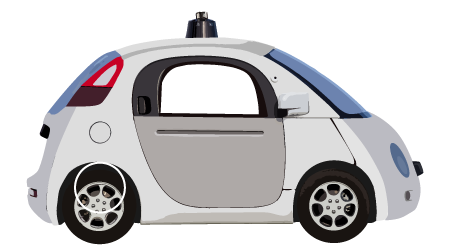 So what powers these driverless cars? Let’s take a look at 10 awesome technologies making this happen. Although we do not fix self-driving cars, yet. National Tyres and Autocare do offer MOT related services, car batteries, brake pads, exhausts parts and discount tyres. We think these will not fix themselves, and we’re the experts who can. The heart of Google’s self driving car is the rotating roof top camera, Lidar, which is a laser range finder. With its array of 64 laser beams, this camera creates 3D images of objects helping the car see hazards along the way. This device calculates how far an object is from the moving vehicle based on the time it takes for the laser beams to hit the object and come back. These high intensity lasers can calculate distance and create images for objects in an impressive 200m range. A camera mounted on the windshield takes care of helping the car ‘see’ objects right in front of it. These include the usual suspects- pedestrians, and other motorists.  This camera also detects and records information about road signs and traffic lights, which is intelligently interpreted by the car’s in built software. 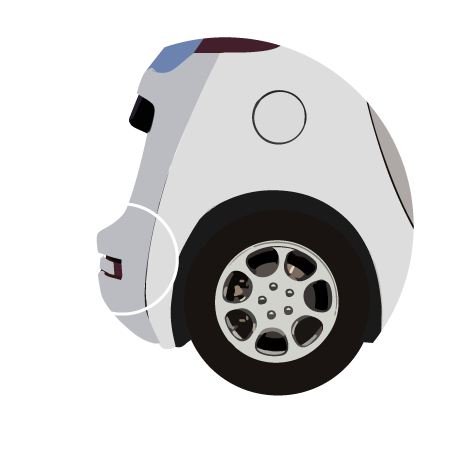 4 radars mounted on the car’s front and rear bumpers enable the car to be aware of vehicles in front of it and behind it. Most of us are familiar with this technology as it is the same as the adaptive cruise control systems our cars are based. 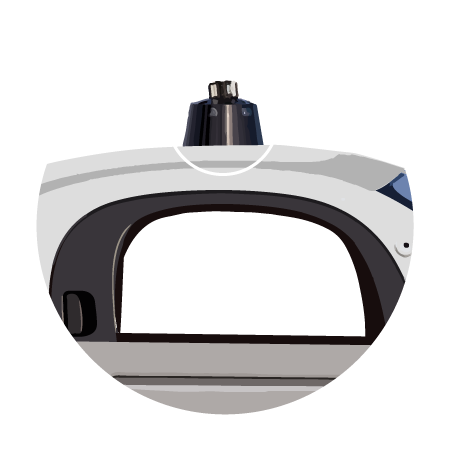 The radar sensor on the car’s bumpers keeps a ‘digital eye’ on the car ahead. The software is programmed to (at all times) maintain a distance of 2-4 seconds (it could even be higher) vis-a-vis the car ahead of it. So with this technology the car will automatically speed up or slow down depending on the behaviour of the car/driver ahead. Google’s self-driving cars use this technology to keep passengers and other motorists safe by avoiding bumps and crashes. 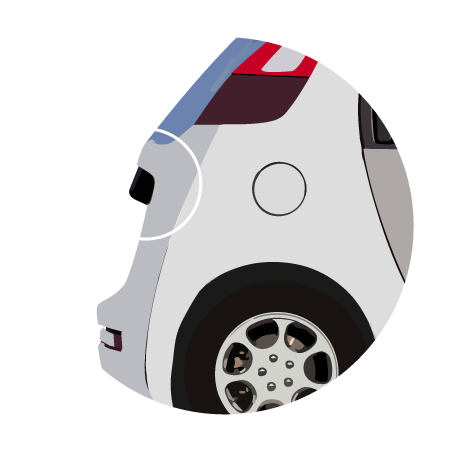 An aerial on the rear of the car receives information about the precise location of the car, thanks to GPS satellites. The car’s GPS inertial navigation unit works with the sensors to help the car localise itself.  But GPS estimates may be off by several metres due to signal disturbances and other interferences from the atmosphere. To minimise the degree of uncertainty, the GPS data is compared with sensor map data previously collected from the same location. 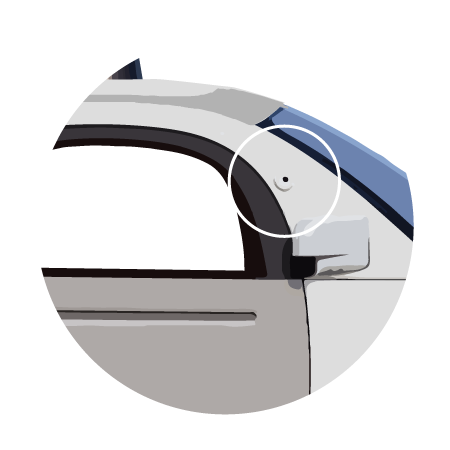 As the vehicle moves, the vehicle’s internal map is updated with new positional information displayed by the sensors. 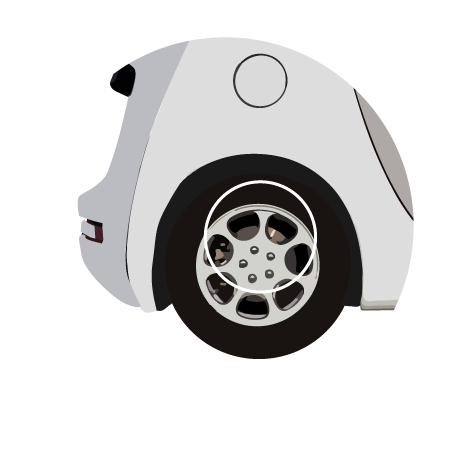 An ultrasonic sensor on one of the rear wheels helps keep track of the movements of the car and will alert the car about the obstacles in the rear. 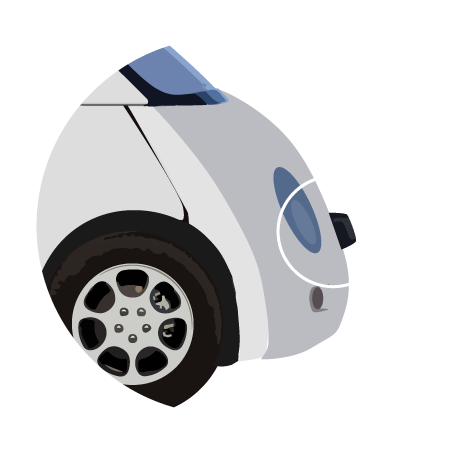 These ultrasonic sensors are already in action in some of the technologically advanced cars of today. Cars that offer automatic ‘Reverse Park Assist’ technology utilise such sensors to help navigate the car into tight reverse parking spots. Typically, these sensors get activated when the car is engaged in the reverse gear. Inside the car are altimeters, gyroscopes, and tachymeters that determine the very precise position of the car thanks to the various parameters they measure. This offers highly accurate data for the car to operate safely. All the data gathered by these sensors is collated and interpreted together by the car’s CPU or in built software system to create a safe driving experience. The software has been programmed to rightly interpret common road behaviour and motorist signs.  For example, if a cyclist gestures that he intends to make a manoeuvre, the driverless car interprets it correctly and slows down to allow the motorist to turn. 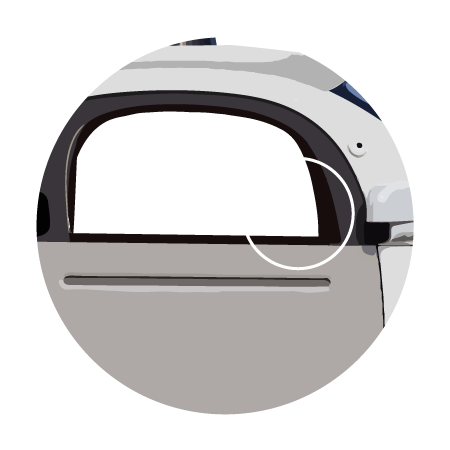 Predetermined shape and motion descriptors are programmed into the system to help the car make intelligent decisions. For instance, if the car detects a 2 wheel object and determines the speed of the object as 10mph rather than 50 mph, the car instantly interprets that this vehicle is a bicycle and not a motorbike and behaves accordingly. Several such programs fed into the car’s central processing unit will work simultaneously, helping the car make safe and intelligent decisions on busy roads. At the moment, before a self-driven car is tested, a regular car is driven along the route and maps out the route and it’s road conditions including poles, road markers, road signs and more. This map is fed into the car’s software helping the car identify what is a regular part of the road. As the car moves, its Velodyne laser range finder kicks in (see point 1) and generates a detailed 3D map of the environment at that moment. The car compares this map with the pre-existing map to figure out the non-standard aspects in the road, rightly identifying them as pedestrians and/or other motorists, thus avoiding them. Google engineers have programmed some real life behaviour in these cars. While the vehicle does slow down to allow other motorists to go ahead, especially in 4 way intersections, the car has also been programmed to advance ahead if it detects that the other vehicle is not moving. Though Google’s self-driving car is not here yet, all this technology sure does make it exciting. And perhaps we are closer to driving one that we let ourselves believe.